I know I've stated before that I wasn't too keen on the Marvel new release of The Defenders. The first issue was a little too tongue-in-cheek and campy for me. 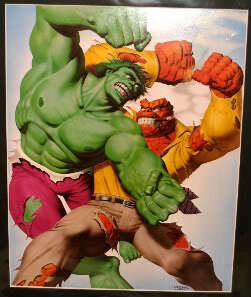 And I was really disappointed in Hulk not being a part of the team, but rather Red She-Hulk. But now it's been four issues. And I think I like it. This last issue is primarily a Dr. Strange story, as it seems to set him up as a central character for the upcoming story lines. But the writing is growing on me. Matt Fraction is doing a good job in pacing the story out to keep me interested, and the strange "bottom-of-the-page" quips no longer bother me. I hope that the Silver Surfer starts taking on a bigger role though, as he is one of my favorite Marvel characters, and seems to be way underutilized in the Marvel Universe nowadays. But overall, I think I will keep up with it, and see where this story goes. I've been avoiding this series simply because I wasn't a fan of the old series when I was a kid. Which is silly I know, because I love comics I would never have touched as a kid. 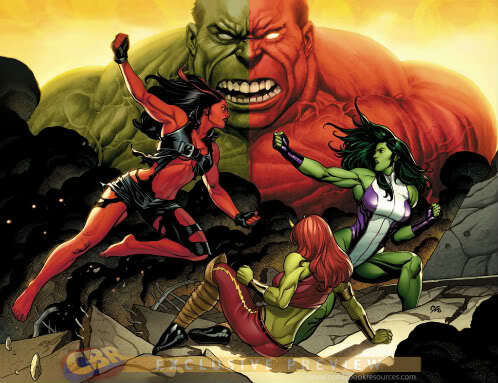 Having Red She-Hulk in the book would be a plus for me because I LOVE that character. So if I pick this up don't let the first issue turn me away. Dang it another to try. Paul, I think you would really like it. When I say that I didn't really like the first issue, I think I'm in the minority there. I think most people did. The only reason I didn't was because it just wasn't what I was expecting. It was kind of funny, smart-alecky, and I was expecting a more serious team-up type comic. But now after a few issues I appreciate it for what it is. And it has Silver Surfer in it. I loves me some Silver Surfer! Its one of those titles that has to grow on you. I didnt care for it with the first issue so I havent picked any up since. But I will now to give it another shot. But I do have to say, you should read the preview of it to figure out why they are doing what they are for Hulk. 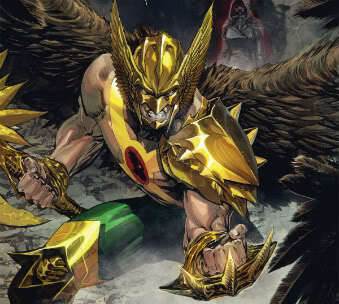 It makes alittle more sense in the first issue to get that part. I think the preview is in the Point One one-shot issue. 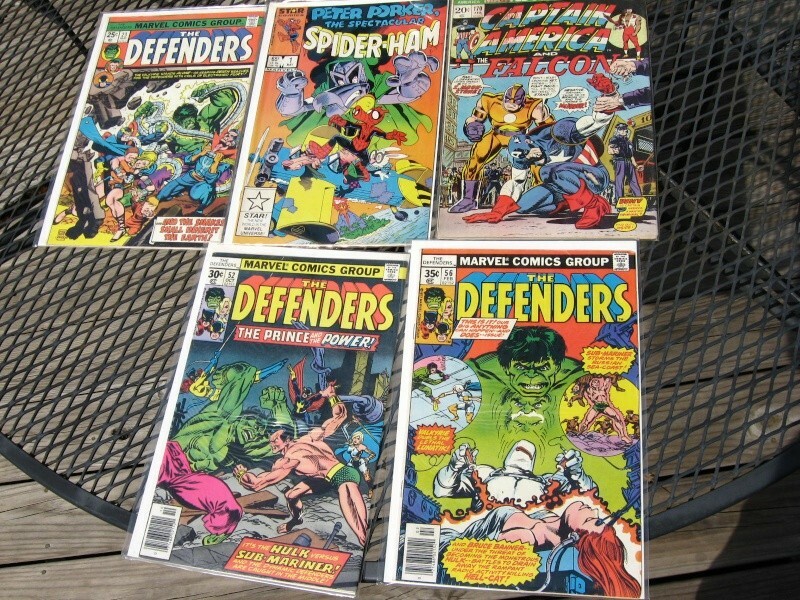 Heres some of the original Defenders Mike. They were pretty good books back in the day. Thanks Chris I might have to hunt down some of them. They are actually pretty cheap. #1 is $90, so not too bad. The original team only consisted of Dr. Strange, Hulk and Sub-Mariner. Then Silver Surfer joined in #2 and the rest followed. While I'm still behind on The Defenders, I recently finished issue #7. And I have to say, I like it. I know I poo-pooed it out of the gate for being to "campy". But the campiness has grown on me. Especially the Iron Fist. He's become one of my favorites in the series. And it's an interesting enough story to keep me entertained. I'm still not sure about the little scrolls at the bottom of each page though. They're still kind of distracting to me. But I understand how it adds to the overall fun feel of the book.